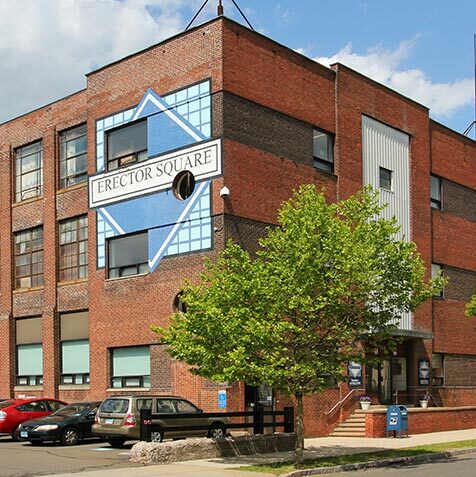 Our office is located in the Fair Haven section of New Haven, in Building 3 of the Erector Square Complex. We are 0.3 mile from I-91. Take Exit 6 (Willow Street). At end of exit, turn Left onto Willow Street. At blinking light, turn left onto Peck Street. Parking is available in the lot between the two large brick buildings, or on the street. Enter near the large “Erector Square” sign painted on the side of Building 3. Use the STREET LEVEL door. Take stairs to 2nd floor, first door on the right.